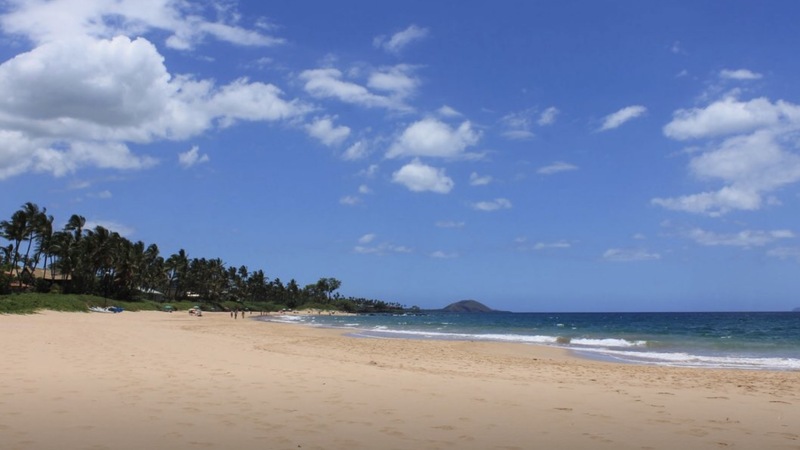 Keawakapu beach, in Kihei (south Maui) is one of our very favorite beaches. We have spent many lazy Sunday mornings there, as lots of locals do. The Hawaiian word Keawakapu means forbidden cave. It is pronounced with the “w” sounding as a “v”, just like the town of Haleiwa on Oahu is pronounced Ha-lay-eeee-vah. A wise person told me, soon after I moved to Maui, that “Hawaii is best done in the shade.” As a newbie, of course I thought he was nuts. Then all I did was look for shade! because on crowded days, you can barely get past all the sun umbrellas in the sand, and people picking their guitars and singing. It’s just a happy place to hang out. One interesting thing about the beach is that there is a reef around 400 yards from the shore made from 150 car bodies which were dumped in the year 1962. 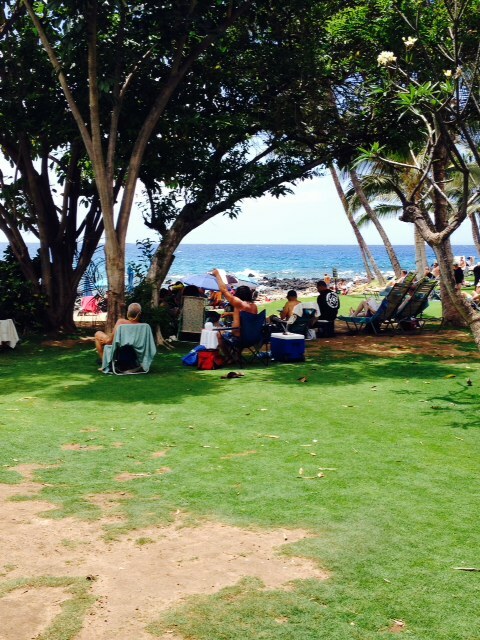 The beach is adjacent to the Mana Kai hotel. There is Zack’s Deli, a good place to grab a wrap for lunch. 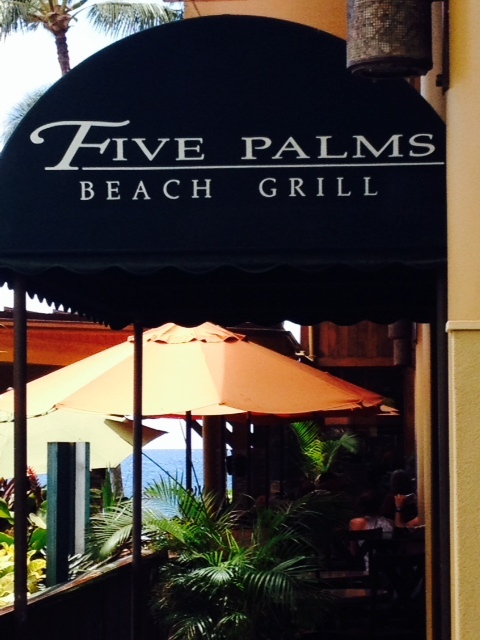 And if you’re willing to part with some cash, there is the Five Palms Restaurant, with covered outdoor seating, a spiffy bar, and a really lovely dining room. (It used to be our go-to for special occasions, but then the prices got to be more than as locals we were willing to spend.) I still miss the days of $8.95 crab cakes there for brunch! 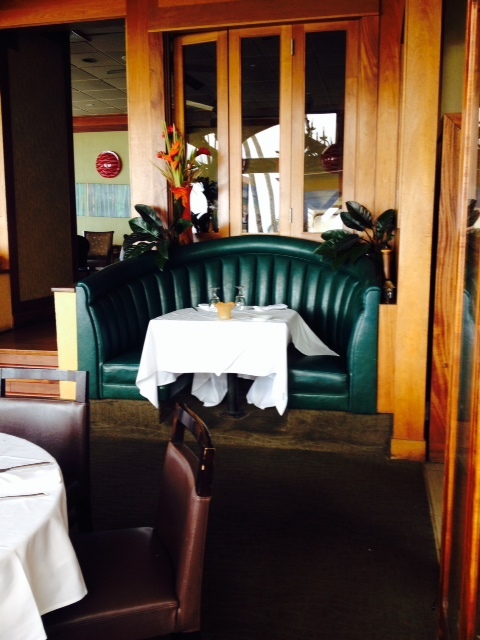 I really love a comfortable, quiet restaurant with booths, and this one can have spectacular whale-watching in the winter. So check out Keawakapu beach and let me know your experience. You can rent boogie boards, stand-up paddle boards, and kayaks. There’s great snorkeling too, so there’s really something for everyone. A hui hou! If you’d like to stay in the loop, please click the “Follow” button on the Homepage, or to the right.